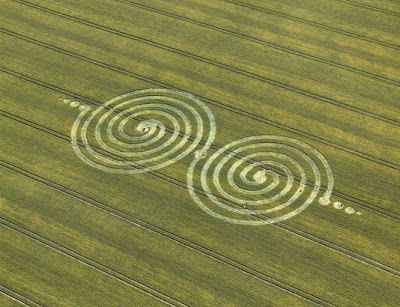 This eloquent design showing interconnected twin spirals was reported at Windmill Hill, near Avebury Trusloe, Wiltshire on the 13th of July 2011 ! 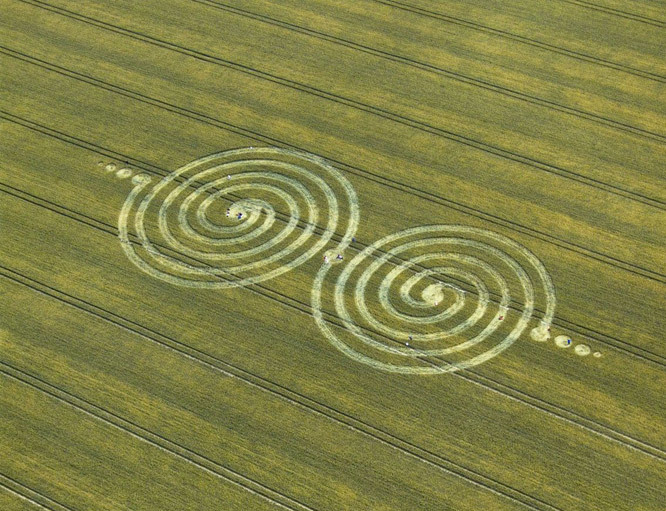 A similar formation with two spiraling circles was also reported on the 13th of July at Chaddenwick Hill, near Mere Wiltshire ! The formation seems like its speaking of two spiraling galaxies on a path to merger ... The one at Chaddenwick Hill seems deeply connected with this one ... 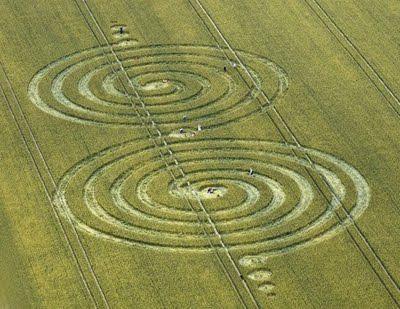 There are some more reports of fresh, newly discovered formations in the UK ... We will be posting all of these shortly ... Still to post some interesting ones from previous months ... the season is in full swing !!! 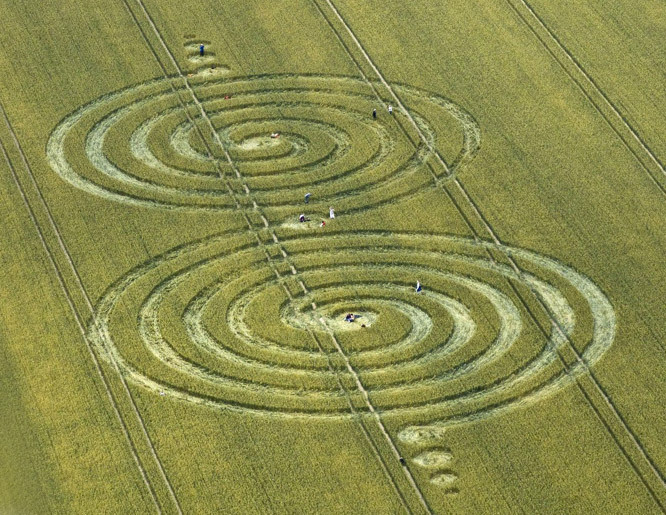 Phase 2 of the Triquetra Crop Circle : Milk Hill, Wiltshire !